Since the hit movie AVATAR surpassed the $1 Billion Revenue mark this weekend I thought it would be interesting to post some information about how the movie was put together – especially since the hardware behind the magic was the HP BL2x220c. The HP blades read and wrote data against 3 petabytes of fast fiber channel disk network area storage from BluArc and NetApp. According to the article, all of the gear was connected by multiple 10-gigabit network links. “We need to stack the gear closely to get the bandwidth we need for our visual effects, and, because the data flows are so great, the storage has to be local,” says Paul Gunn, Weta’s data center systems administrator. The article also highlights the fact that the datacenter uses water cooled racks to keep the racks and storage cooled. Suprisingly, the water cooled design, along with a cool local climate, allows Weta to run their datacenter for less cost than running air conditioning (all they pay for is the cost of running water.) In fact, they recently won an energy excellence award for building a smaller footprint that came with 40% lower cooling cost. Since I don’t want to re-write the excellent article from information-management.com, I encourage you to click here to read the full article. 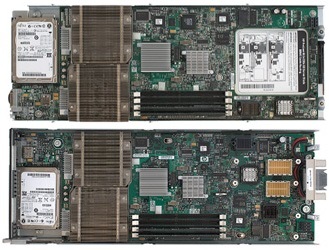 You may have noticed that this server is a “G5” version and currently has the older Intel 5400 series processors. 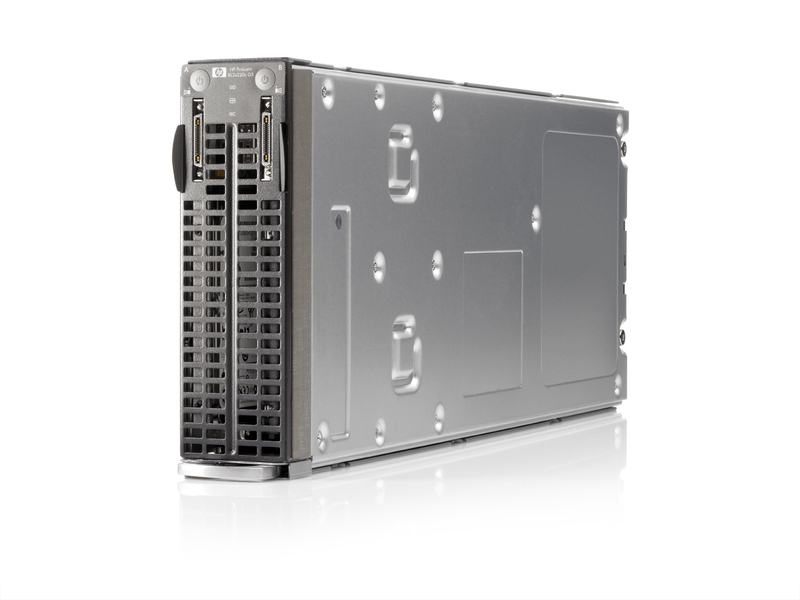 Based on HP’s current blade offering, expect to see HP refresh of this server to a “G6” model that will contain the Intel® Xeon® 5500 series processors. Once that happens, I expect for more memoryslots to come with it, since the Intel® Xeon® 5500 series processors have 3 memory channels. I’m guessing 12 memory slots “per node” or 24 memory slots per BL2x220c G6. Purely speculation on my part, but it would make sense.